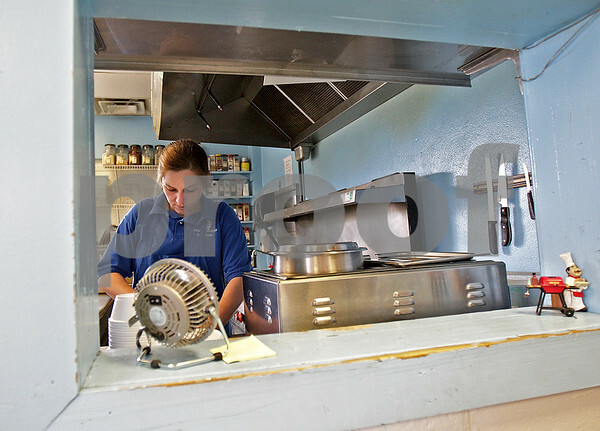 Country Store and Catering, Inc. employee Kelly Williams is seen preparing food behind a window in the Sycamore store on Thursday, May 23, 2013. Country Store offers ready-for-grilling meats, salads, desserts, take-out and dine-in orders. Owner Tom Ulrich has been grilling for 23 years.